If you’d like to be able to quickly snap a block aligned or perpendicular to another object, a quick, helpful use for dynamic blocks is the Alignment parameter. Unlike most other parameters, you don’t need to specify an action. The Alignment parameter is easy to create. Make the block and open the Block Editor (the BEDIT command). In the Edit Block Definition dialog box, choose the block and click OK. You’re now in the Block Editor and the Block Authoring Palettes window appears. Click the Parameters tab and then choose the Alignment Parameter tool. At the prompt, specify the base point for the alignment parameter, the point that you want to use to snap the block. When you use this parameter, the block will rotate around this point to align with another object. 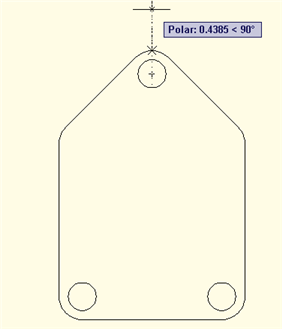 Alignment parameters can be perpendicular or tangent. To set the alignment type, press Enter or use the Type option. Choose Perpendicular if you want to align the block perpendicular to other objects. Choose Tangent if you want to align the block tangent to other objects. Then specify the direction of the alignment. You can do this by specifying a point. As you move the cursor, you see a rubberband line from the base point. Usually, you want an orthogonal angle, but you can specify any angle that you want. The direction combines with the type to determine how the block will align. If you’re not sure, try out different options to see their effect. 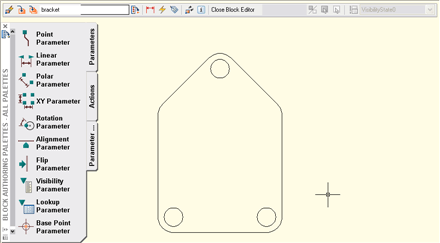 Click the Save Block (Definition) button in the Block Editor and close the editor. Now insert the block. To align it, select the block and click the alignment grip. Drag the grip near an other object and the block snaps to that object. Note that there is always more than one possible alignment and so you’ll have to move the cursor a little to get the result you want. Thanks for dynamic block Alignment parameter usage post. I learned a new thing from your Post. 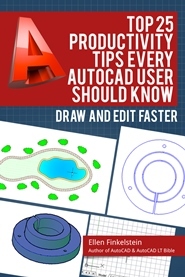 Thanks & keep posting lots of work process, Tips & Tricks related AutoCAD…. Thanks for the Alignment tip Ellen. I wondered just how that worked and your post has clued me in. As soon as I found out AutoCADWS was available, I felt my phsauce of an iPad paid foritself. 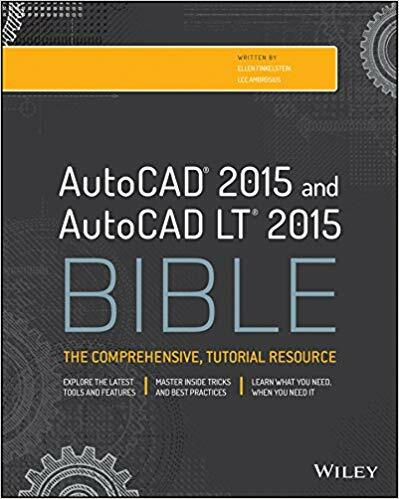 I teach AutoCAD at a community college and can have my assignments ready toshow to students directly on the iPad without the need to log into the network and fire upAutoCAD. GREAT APP!I have noticed that the diameter symbol does not always translate within a dimension, andthat line weights do not translate either. It would be wonderful if you could choose to viewwhat is on a 2D layout tab, since we heavily use paper space in class for our 3D models.I definately recommend this to other AutoCAD users!